Laguna, Philippines - The recent release of Food Standards Australia New Zealand (FSANZ) approval report of International Rice Research Institute (IRRI) application for a Golden Rice ‘safety stamp’ and trade liability clearance have garnered negative reactions and widespread critique. Civil society in Australia and New Zealand also challenged the soundness of FSANZ decision and appealed to review its approval. In an open letter, MADGE, GeneEthics and Food Sovereignty Alliance asked the Minister of Food Regulation forum to review FSANZ approval of Golden Rice. It stated that “FSANZ is failing its legislated objective to uphold public health and safety, providing adequate information to consumers and to prevent misleading and deceptive conduct”. It also pointed out that FSANZ carries no actual safety evaluation and its safety assumption were biased on data provided by IRRI and corporate proponents while ignoring crucial scientific data on the perils of GMOs to human health. Launched last 2000, Golden Rice (GR) is a genetically engineered rice with the capability to produce beta-carotene, the precursor of Vitamin A and touted to address malnutrition and Vitamin A Deficiency (VAD). Billions of dollars have been poured into its research and development by mega-transnational corporations including Syngenta (now ChemChina) and the Rockefeller Foundation who are also major IRRI financers. Belinda and Melinda Gates Foundation extended $10M to IRRI to develop Golden Rice in Bangladesh and the Philippines last 2011. Pro-lobbyist for FSANZ approval included Syngenta, Bayer-Monsanto and Dupont who are corporations raking billions of profit from manufacturing toxic pesticides and herbicides. Amongst these are Paraquat and Glyphosate which are considered highly hazardous and banned in some European and Asian countries. The Bangladeshi and Philippine government have both pronounced its favorable stand to GM Golden Rice commercialization despite historic public opposition, lack of conclusive safety studies, safeguard and accountability mechanism. In a recent article, Donald J MacKenzie of IRRI applauded the approval of Bangladesh government for Golden Rice release this 2018 following clearance from FSANZ. He also in formed the public that review is underway from US Food and Drug Administration. In the Philippines, farmers and women’s groups are closely monitoring IRRI’s applications to FSANZ, Health Canada and US FDA. Unfortunately, a policy loophole in the country indicates that once circulated in foreign states and approved by international bodies - the application for direct use is good as approved despite national opposition. This will serve as a blanket green light for direct use including launching of clinical feeding trials among Filipino children. Since its inception, Golden Rice has been marred by conflict and controversy. Civil society in Asia and GMO watch groups have been wary of Golden Rice as rice is not just the staple food for one third of the world’s population, it is also a political crop. MASIPAG, a farmer scientist network in the Philippines have long emphasized the detrimental impact of Golden Rice and submitted public comments and petitions to IRRI and FSANZ. It stated last year that “The looming Golden Rice commercialization anchored on neoliberal market will flood the region with massive and unregulated trade of GM rice. This spells doom to our country where the quantitative restriction on rice importation will soon be lifted. Golden rice is a death reaper to our local rice sector as traditional rice varieties will be vulnerable to GMO contamination. MASIPAG recently issued a statement for calling FSANZ to revoke its safety approval. A research finding last January 2017 reveal that Golden Rice hybrid with Swarna variety resulted to phenotyphic abnormalities, stunted growth and low yield, virtually adulterating the metabolic and genetic traits of the variety. Testbiotech pointed out this study and unintended effects of Golden Rice which “show genetic instability if they are crossed with other varieties; these were not discussed by FSANZ even though they are also relevant for food safety”. Two decades of global civil society opposition impeded its planned commercialization in Philippines, Bangladesh and Indonesia. This prompted proponents to start Allow Golden Rice tour which was confronted by a broader Asia Farmers Network Against Golden Rice which held a conference, protest and press conference in the Philippines last 2014. It condemned the hypocrisy and logically fallacious claim that golden rice opposition is a crime against humanity while turning a blind eye to the ecological havoc and thousands of farmers driven landlessness and suicide as a result of past decades of GMO commercialization of GM Soya in Argentina, BT Cotton in India and GM Corn in The Philippines. The network of 30 Asian countries reconvened as Stop Golden Rice! Network (SGRN) last 2017 to resound opposition to the renewed application for direct use and field testing in the Philippines and impending release in Bangladesh last 2017.It warns that FSANZ approval will serve as precursor to release of GM rice in Asia and ensue the promotion of bio fortified GM crops. 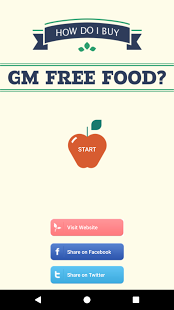 This January, US Food and Drug Administration (US FDA) officially approved GM Huahui rice in China, stirring alarm as majority of the Chinese are wary of the health and ecological risks of GMO commercialization. Virgie Nazareno, an organic farmer community leader and South East Asia secretary general of Intercontinental Network of Organic Farmers Organization (INOFO) echoes strong condemnation.“FSANZ approval reveals its bias to corporate powers and lack of genuine regulation. Malnutrition is scouring the rural poor precisely because of the greed and twisted thinking and technology of the corporations behind GMOs. There is a deficiency of justice not only Vitamin A. Land, farmers and food systems must be liberated from the control of corporate greed, GMOs and toxic products to combat malnutrition, hunger and poverty” said Nazareno. She reiterated that GoldenRice is unnecessary. Instead, farmers right to land, seed freedom and practices of sustainable and ecological agriculture must be supported to ensure safe, nutritious food and a thriving healthy ecology for all. Stop Golden Rice! Network (SGRN) is a regional campaign collaboration of more than 30 organizations in South Asia and South East Asia. It works against the commercialization of Golden Rice and other forms of genetically modified crops, towards a society with equity, food sovereignty, sustainable and ecology-based agriculture. This is joint statement of its lead convening organizations and networks.